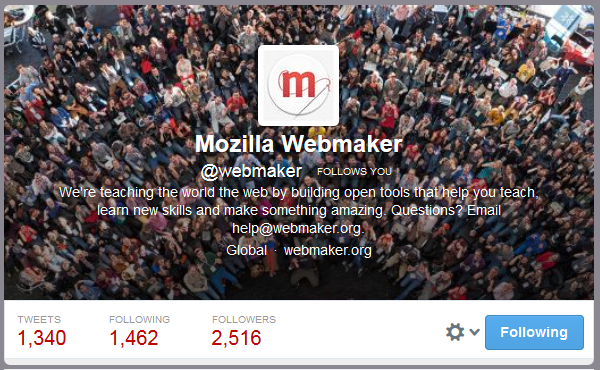 The Webmaker twitter account, established in March 2013, was developed as a hub for publishing Webmaker’s remixable content and promoting community event listings. The channel grew towards outreach, engagement and user support as it evolved, and was supplemented by regular product updates and co-building CTA’s. The Webmaker channel has played host to many Mozilla events and campaigns, primarily Mozilla Festival, Make Stuff Do Things, and annual global Maker Party Campaigns.